I went to the store the other day and brought my second oldest son Tyler with me. My kiddos expect to get something almost every time they go to the store because both grandmas spoil them. As a toy designer myself I enjoy to navigate the toy sections. This is especially fun when I’m shopping with one of the kids. I like to see how they react to different toys and what they like. We went to the hotwheels section because Tyler likes anything that has wheels. We dug through the hotwheels and found some good designs but then we found the new section of hotwheels that are licensed with Star Wars and Lucas Film (now Disney). It suddenly hit me how many toys are based off of movies and license. Almost everything popular at the store is based on some sort of movie or TV show. I got to thinking why? I think the reason that toys and other products tied to movies or other shows are because they tell a story. A toy without a story is what? Exactly. A toy without a story seems to be boring in our day in age. This saddens me a bit because I feel every toy has a story – some that are not made up yet. That makes toy design fascinating to me. 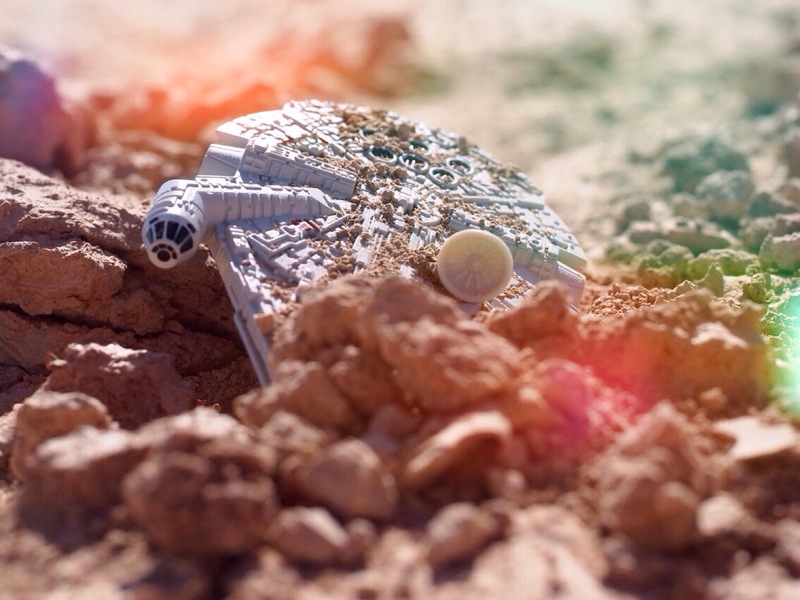 I look at the simple Millennium Falcon Hotwheels ship that I bought for myself that day and think about all that went into it. That simple toy had a die cast top, an injection molded plastic bottom that consisted of more than one piece. It came with a clear plastic stand that also allows one to “fly” the Millennium falcon by attaching it to your finger. My fingers are too big for it but it’s a good concept – a good design. After work a couple days later I went out to the desert and got multiple crash scenes of Han Solo landing the Millennium falcon in the west desert of Utah. I sure do enjoy toys and have found my niche in product design. I give a thumbs up to Mattel and Hotwheels for creating a quality design with the Millennium Falcon Hotwheels model. A design that both kids and their parents can enjoy. Thank you! Previous post Why is choice so important?